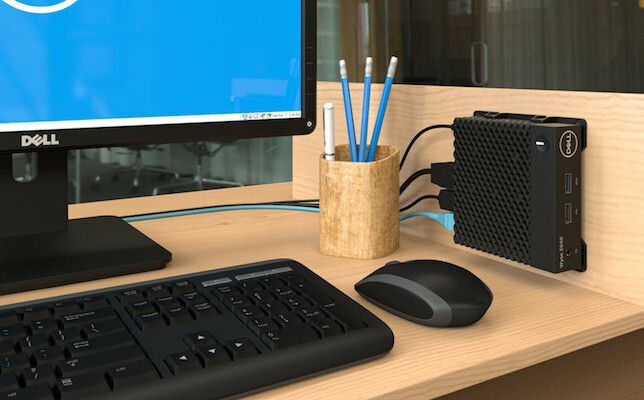 Virtual desktop infrastructure (VDI) has been innovating in recent years, and now the latest addition to Dell’s thin client series boasts improved performance that makes it comparable to the company’s mainstream platforms and PCs. The company on Tuesday unveiled its lightest, smallest and most power-efficient thin client yet, the Wyse 3040. Starting at $329, the Wyse 3040 thin client is part of the “value” 3000 series. Positioned at the entry level, Wyse 3040 boasts high-performance features such as a full Intel quad-core processor. McNaught, who worked at Wyse Technologies as an engineer and co-invented Wyse thin clients, said that Wyse 3040 meets the following three big requirements for thin clients specifically for education customers: It displays Windows applications and video really well; delivers great sound and audio capability; and offers reliable unified communications (web and audio conferencing like Skype for Business). “Most of thin clients at the entry level can not do all those things, but this is the first product that can,” said McNaught. Its enhanced capabilities come from the quad-core processor, 2GB of RAM and 8GB of storage, as well as the virus-resistant operating system WyzeThinOS 8.3.2. “In the entire history of the WyzeThinOS, no customer has reported a successful hacking of it,” McNaught commented. On top of these features, Dell has put in four USB ports (three USB 2 ports and one USB 3.1 Gen 1), allowing the Wyse 3040 to support up to four different devices simultaneously and offer high-speed connections. The new model also has two DisplayPorts on the back, providing full digital support for two high-res displays. Wyse 3040 was designed for efficiency, boasting a 30 percent improvement in performance over previous models, while using about 25 percent less energy — 2.5 watts, or roughly a third of the energy used by a single Christmas tree light bulb. Wyse 3040 can be mounted on the back of a display, on the side of a desk or under a tabletop, so that it’s out of the way for users. Supports Citrix HDX, Microsoft RDP and PCoIP protocols and will support VMware Blast Extreme remote protocol starting June 2017. Overall, the cost-effective endpoint solution is efficient, secure and easy to deploy and manage for IT teams across high-regulated industries like education, healthcare, government, retail, finance and manufacturing, according to a company statement. To learn more, visit the Dell Cloud Client-Computing site.